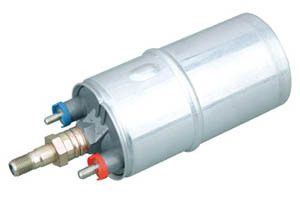 Lube Mobile come to you for fuel pump diagnosis and if needed replacement of fuel pump. Dont spend the money on a tow. We carry out diagnostic work and also repair faulty fuel system components like the fuel pump, fuel injectors, fuel pressure regulator, fuel tank or even just a fuel filter. Stay there and relax. Whether your car wont start, has a flat spot, is leaking fuel, using too much petrol, idling or running rough we can help. We have fuel pressure testers, scan tools and other required equipment in the van to test fuel system problems and repair. We use only quality parts on your vehicle. We can replace any damaged or worn parts on site at your convenience. Before starting on your fuel pump replacement, we will check it first and do up a written quote to confirm cost, so you know all prices beforehand and are in control. Our mechanics are trained, equipped and friendy to help you wih all aspects of the repair. All work comes with a 12 Month / 20,000km nationwide Warranty. - so you are covered all over australia - we can even do fuel repairs you when you are on holidays ! If you’re finding it hard to find the time and required flexibility needed to leave your vehicle with a mechanic all day then you need a local mobile mechanic. Lube Mobile is the mechanic that comes to you offering fast and thorough on-the-spot repairs to your car, finished on time so you’re back on the road as soon as possible to get back to your busy life. Enter your postcode above to see when we can get to your address for the fuel pump replacement - you may be surprised. Any questions ? - Call 13 30 32 to talk to our friendly Customer Care team. Once you experience the ease of Lube Mobile Car Repairs and Service you will wonder why you hvent dont it before ! Happy motoring. I found my mechanic Jacob to be outstanding. He explained the problem fixed the problem and couldn't be more helpful. I would recommend this mechanic to everyone. Just wanted to say this is the first time in my life that I was happy with having an honest mechanic and the first time I have used Lube Mobile. I had a problem with starting in the cold the next morning and spoke to Phil and he got his mate straight out to fix it who explained a few more things about my van with no extra charge where in the past I've had mechanics try and put extra costs on. Thanks guys - very impressed! Lube Mobile are the BEST & most RELIABLE mechanics that I have ever had. Brendan did a FANTASTIC job & I look forward to seeing him again shortly when he does my service for me! Cheers! I thought it was awesome that I could arrange a quote and booking by chatting online. It was also great that my car was able to be fixed not long after I called and whilst I was working. I didn't have to leave work to arrange my car to be fixed. I had two problems with the car and the mechanic made sure everything was done so that the car was back on the road. I didn't actually meet him but my family said that he was really nice. He was really good to deal with on the phone too and I got a courtesy message to alert me to when he was arriving. He did arrive earlier than expected but that was alright. I probably paid a bit more than I would have taking the car to a workshop but this way I didn't have to arrange additional towing and the car was fixed within a couple of hours of me contacting Lube Mobile. Overall it was very convenient!